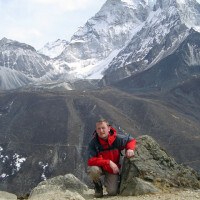 Everest Base Camp, Trek to Kalapatthar & Optional hike with Chhukhung. Scenic, breathtaking mountain flight from Kathmandu to Lukla to Kathmandu. 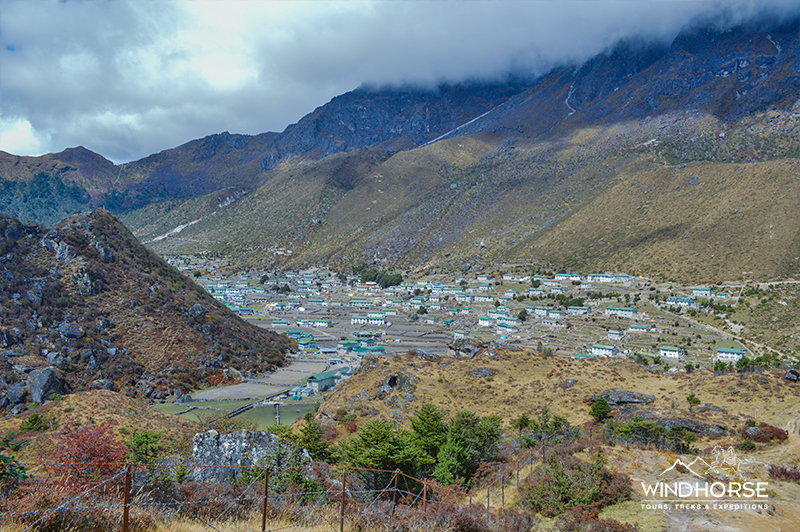 Explore the Namche Bazaar, the capital of Sherpa people & gateway of Mt. Everest & interact with residents. 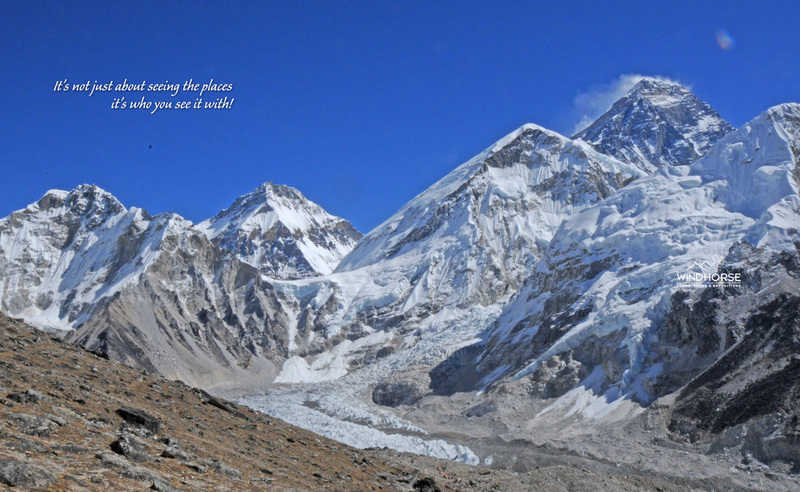 Visit highest mountain base camp in the world situated at 5364m. Everest Basecamp & Kalapatthar trek in Nepal is one of the popular trekking destinations in the world due to its feature of exceptional highest altitude and distinct complex landscape, remarkable natural beauty, diverse floras and faunas. 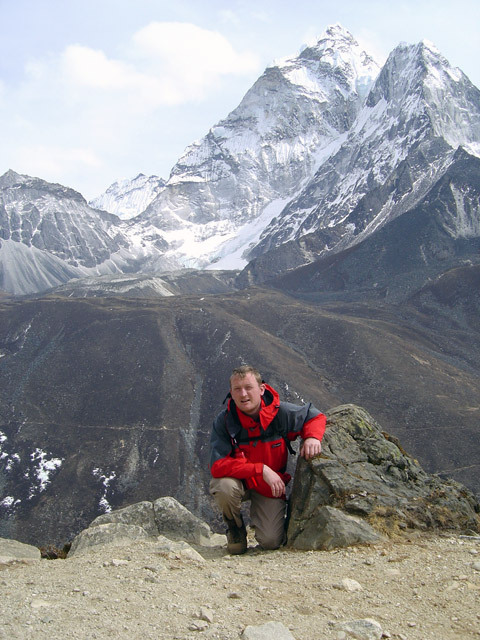 Everest Basecamp & Kalapatthar trekking in Everest region of Nepal offers to the adventure travelers an exciting opportunity to explore up to the base camp of the world’s highest mountain Mt. Everest (8848m). Mount Everest Basecamp (5364m) and Kalapatthar trek have been popular trekking destination after the first successful completion of expeditions to Mount Everest Summit (8848m) on May 29th, 1953 by Sir Edmund Hilary and Tenzing Norgay Sherpa. 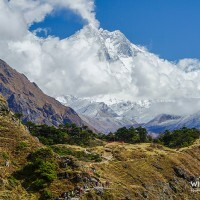 The Everest base camp & Kalapatthar trekking reveals some of the most breath- taking and specular scenery of the Himalaya, traditional Sherpa culture, Everest National Park with diverse flora and fauna, living style of Sherpa people, hidden Buddhist culture and their religion in Khumbu region of Nepal. 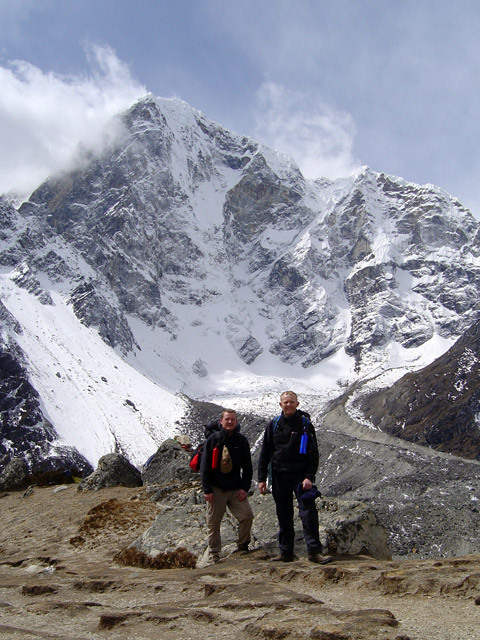 Everest Basecamp & Kalapatthar trekking is graded as moderate to difficult trekking where trekkers should have prior trekking experience and some level of physical fitness to do this trekking. Everest base camp & Kalapatthar trekking begins with half day sightseeing and trek preparation in Kathmandu valley on Nepal. 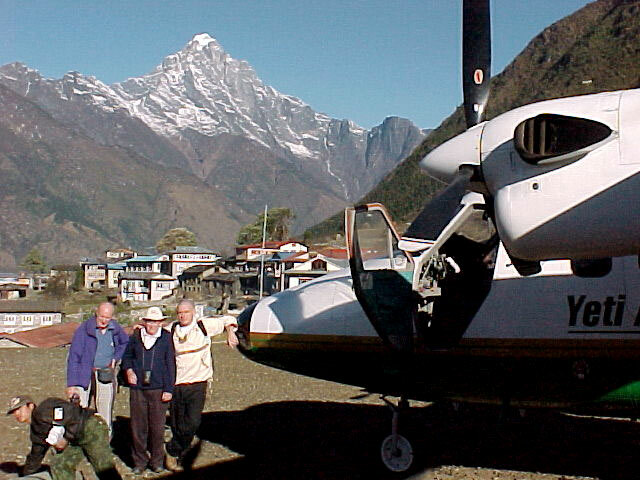 Then next day, take 30 min mountain flight to Lukla. On the same day, trekking trail follows the bank of Dudh Kosi River and reach to Phakding village. 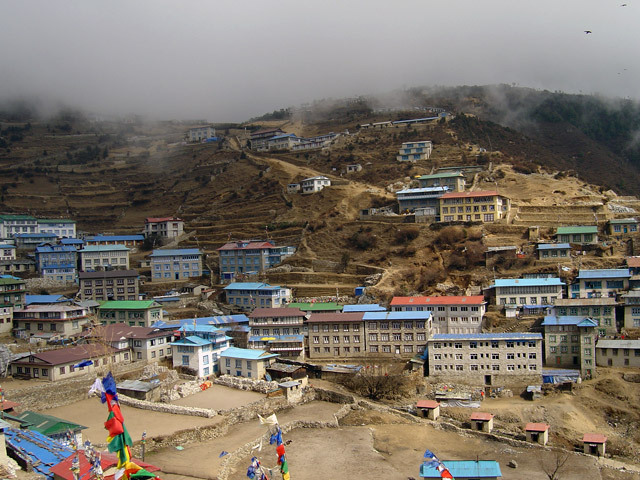 On the second day, reach at bustling mountain village town, also popularly known as the capital of Sherpa people in Khumbu region is called Namche Bazaar. At the Sherpa capital of Namche Bazar, you have the option to explore the village and interact with the local Sherpa people to develop insight of culture, tradition and living style of residents in Everest region of Nepal. 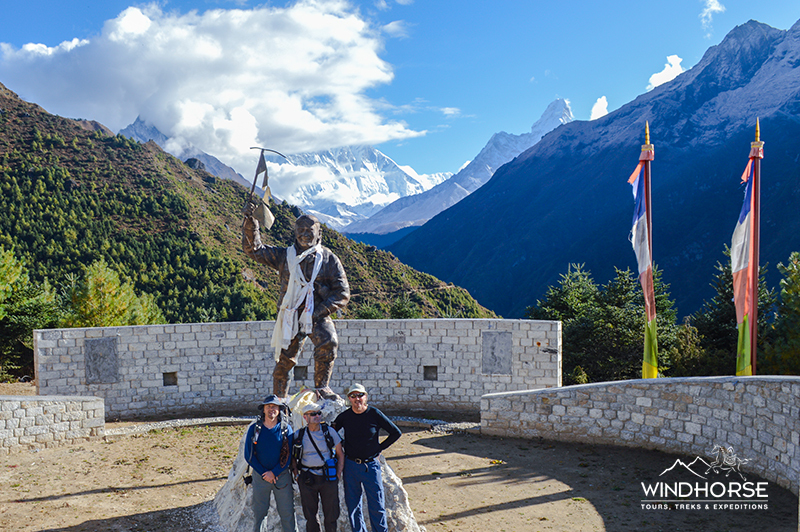 Everest Base Camp & Kalapatthar Trek is also great opportunity to immerse you in the rich Buddhist culture, explore the Sherpa culture museum located at just above the Namche Bazar. 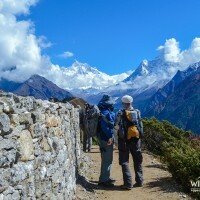 Then the trail ascends towards the Tengboche hilltop village and follows the Dingboche, Lobuche and Gorekh Shep (last teahouse accommodation available). 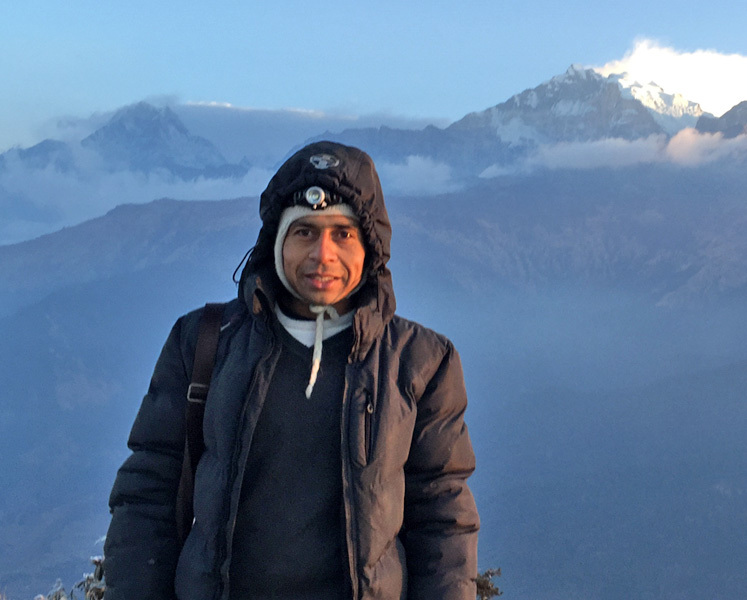 On the same day, we hike up to Everest Base Camp and next day early in the morning hike to Kalapatthar (5550m) to explore the sunrise and mountain views, which is our ultimate destination of the Everest Base Camp trek. Then we descend back through Pheriche, Phortse, Khumjung, Bengkar and Trek end at Lukla. 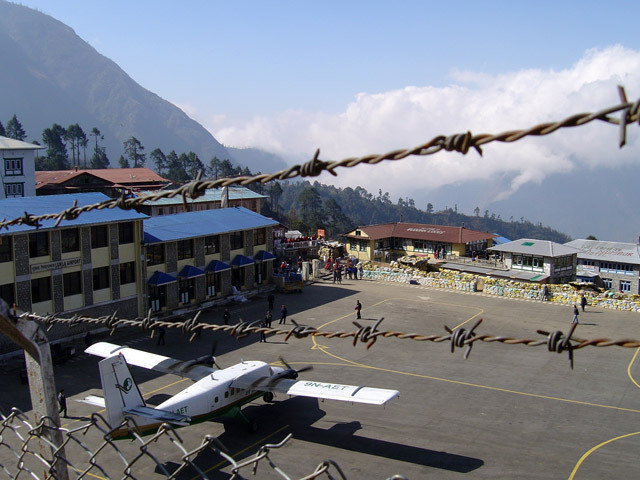 From Lukla take mountain flight to Kathmandu, which takes 30 minutes. Upon arrival at in Kathmandu International airport, meet and transfer to the hotel. In the evening, you have the option to be escorted & stroll around Thamel and north part of the Kathmandu Durbar Square, Ashan, Indrachook & local tourist market of Kathmandu valley. You will be served by welcome dinner in the evening with a typical Nepali cultural program in Kathmandu. Overnight in hotel in Kathmandu. 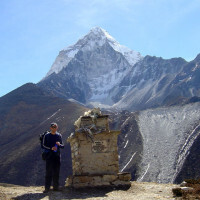 Today you will be able to do the half-day excursion and half-day trek preparation. After breakfast start tour covering Kathmandu Durbar Square and Swambhunath Stupa, which are listed on the UNESCO world heritage sites. Kathmandu Durbar Square area holds the palaces of the medieval Kings who ruled over the Kathmandu Kingdom. Kathmandu Durbar Square reveals Nepalese art, craft and architecture of an ancient period. The architecture is typical of the Malla dynasty, which ruled over Nepal from the 12th to 18th century. Then we visit world’s oldest Buddhist pilgrimage site and tourist destination Swambhunath Stupa. Swayambhu meaning the “the self-existent” is popular among the foreigners as Monkey Temple with a large number of monkey population. After sightseeing, we will have a discussion session where we discuss our trek plan and preparation in the afternoon. If you need trekking gears utilise this time to buy some gears & clothes at local tourist market in Kathmandu. Early in the morning transfer to domestic airport to board a scenic mountain flight to Lukla (2840m) and which will take about 30 minutes. 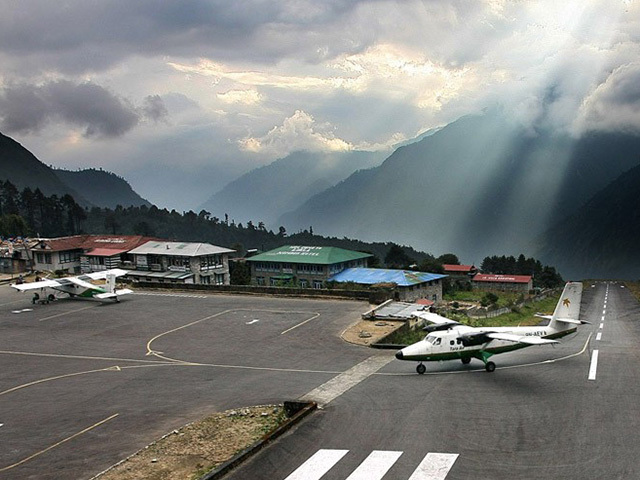 The flight to Lukla will be one of the lifetime spectacular experiences. Upon arrival at Lukla start trekking until we reach to Phakding passing through beautiful Chaurikharka village on the left-hand side, which will take about 3 hours. Further the trail traverses Chheplung (2660m), Thado Koshigaon (2580m) from where you can see the glimpse of Mt. 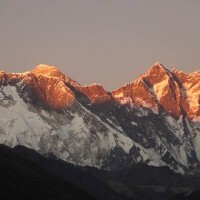 Kusum Khangkaru (6367m), Nuring (2492m) and reach to Phakding. The trail to Phakding lets you discover the green landscape with a scenic view of local villages, green farmlands in the lower Everest region of Nepal and reach to beautiful hamlet Phakding. Because of being the first day of trekking we do not walk a lot and stay at Phakding village. Overnight at Lodge in Phakding. 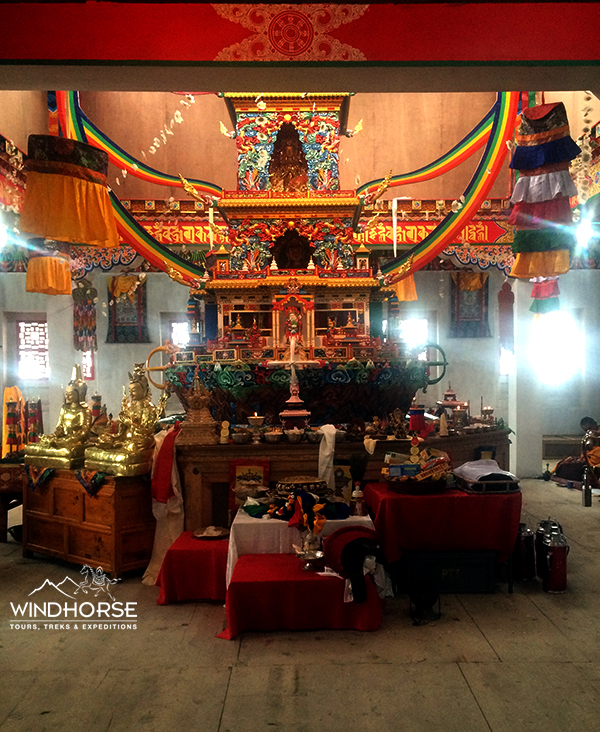 Early in the morning if you are interested in visiting the Tengboche monastery for pray and observe the ceremony. Try to be there before 7:30 am, to see the monks praying, and you can also involve there for pray. 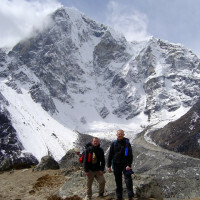 After breakfast trek from Tengboche to Dingboche, also known as Summer Valley, which will take approximately 5 hours. 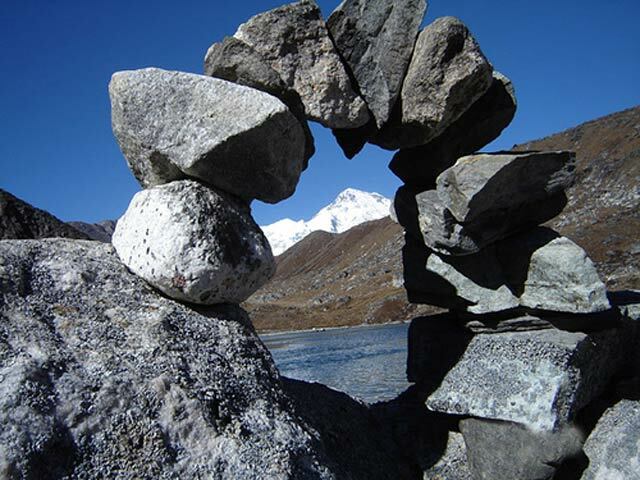 At first, we trek via Debuche, cross bridge over Imja Khola and trek along the beautiful green fields, protected lands & the village of Pangboche (3900m). The trail is step up for an entire day to reach to Dingboche. The village of Somare (4010m) and Orsho are on the way and offer the excellent view of Mt. 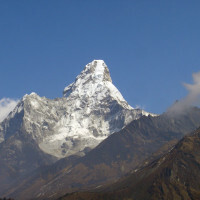 Aama Dablam. We descend to the river and follow the up steep trail to reach the Dingboche via north face of the Pheriche village. Trekking about 3 hours from Pangboche we reach to the Dingboche village. 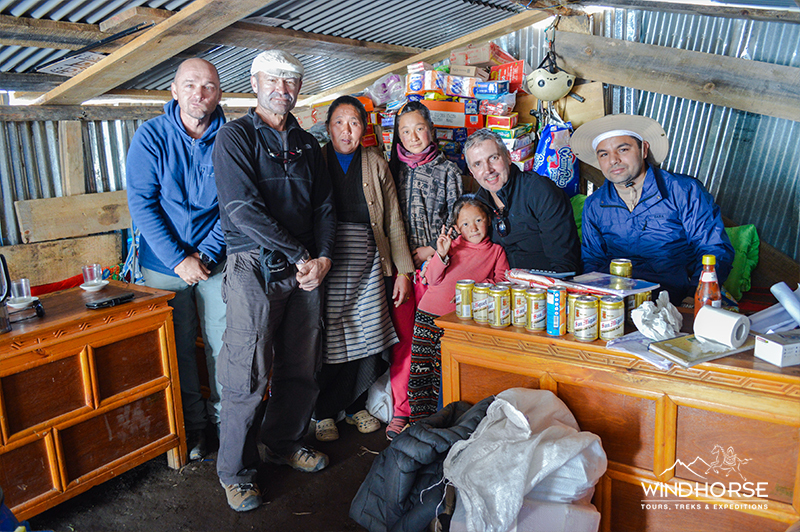 Overnight at mountain lodge in Dingboche. Trek to Lobuche via Khumbu Khola valley & Duglha (4530m) (also known as Thukla) that leads to the white Chorten on the top of the ridge. Then further continue through Dusa (4530m), Palrung Khrka and you will see the Chola peak on top and at the bottom Chola Lake (4590m) on the left-hand side. 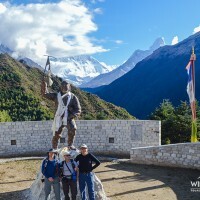 At the height of the ridge we will find a collection of stones with prayer flags, memorials of several famous mountaineers such as memorial of US citizen mountaineer Scott Fisher and Nepali citizen ten times Everest submitter Nepali mountain guide Babu Chiri Sherpa, who perished on a mission to submit Mt. Everest. 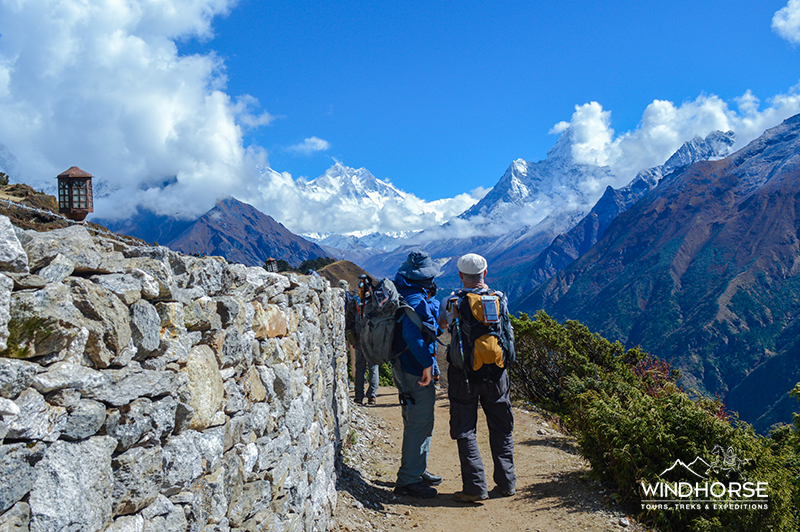 Along the way as the trail further continues to the Khumbu Glacier moraine, you witness a great view of Mt. 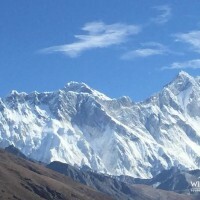 Pumori (7161m), Khumbutse, Khumbu peak, Nuptse, Baruche, Lola peak and beautiful views of Himalayas. 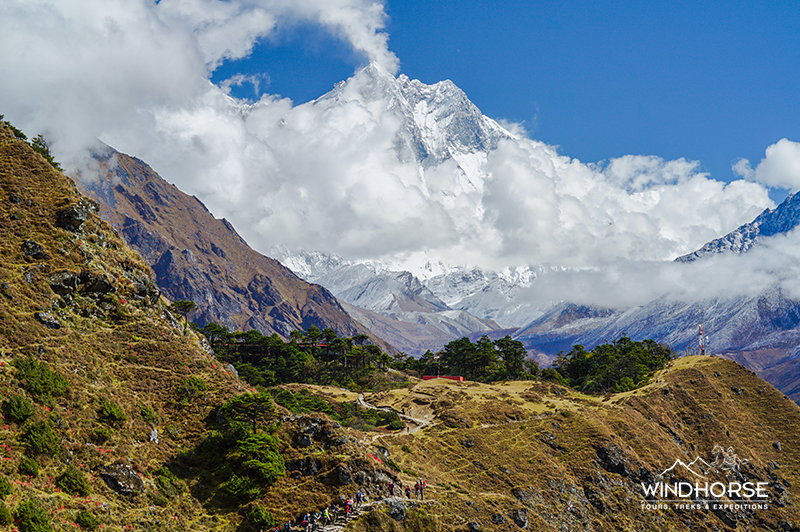 As we pass the Khumbu glacier moraine, you might feel a little out of breath due to high altitude. 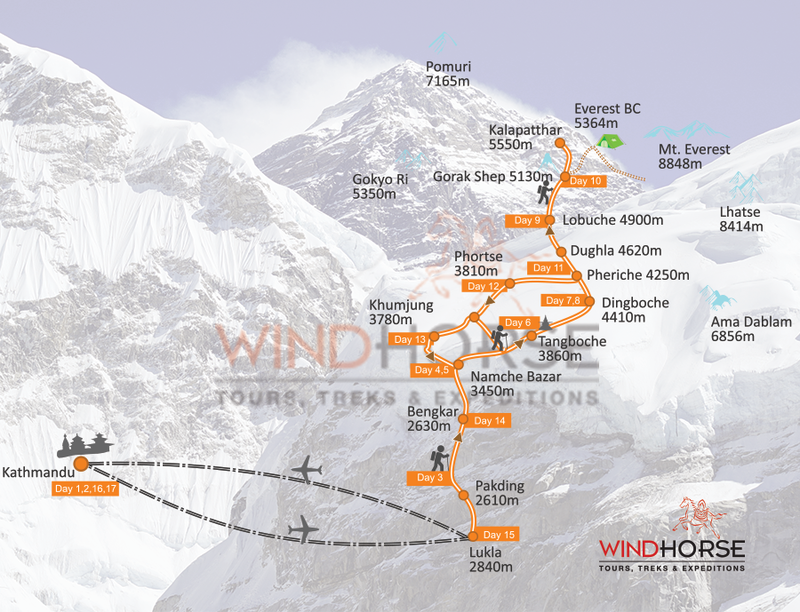 It will take about 5 hours to reach Dingboche to Lobuche. Overnight at lodge in Lobuche. Trekking to Gorak Shep passes through the lateral moraine of the Khumbu Glacier with the witness of the north ridge of Mt Everest, Mt. Pumo Ri, Mahalangur and Mt. 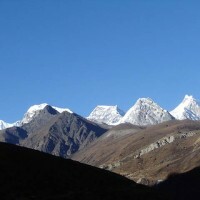 Nuptse and surrounding peaks. Trekking after approximately 3 hours from Lobuche, we will reach Gorak Shep. Take Lunch at Gorekh Shep and have rest for a while. Gorakshep is the last place where you get lodge/guesthouse accommodation. 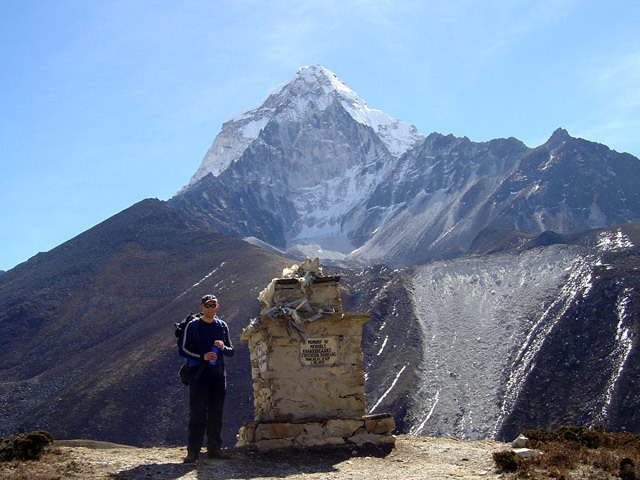 From Gorak Shep continue trekking to reach Everest Base Camp, which is one of the ultimate destinations of our trekking and will take approximately another 3 hours. On the way, we pass through the massive icefall and glacier and after walking one and half hour we see the first glimpse of Mt. Everest. Hiking through the trail with several ups and downs in the high altitude, we explore the lovely and vibrant, beautiful views of Snowcap Mountains and icefall glacier. 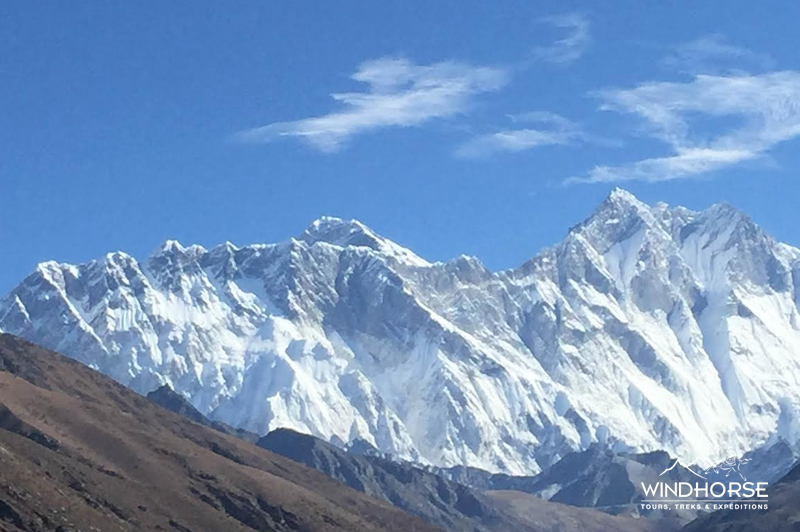 When we reach to EBC we will enjoy the natural magnificence of Khumbu Glacier and icefall, people staying in the tented camp and some of the enthusiastic mountain climber doing the preparation for Everest expedition. 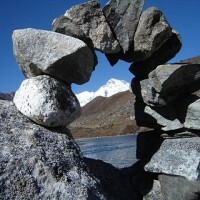 We will spend one hour at the base camp enjoying the Himalayan beauty and capturing the majestic views in our cameras. Then trek back to Gorekhshep. Get ready for tomorrow as we wake up early in the morning for sunrise views from Kalapatthar. Overnight at Gorakshep. 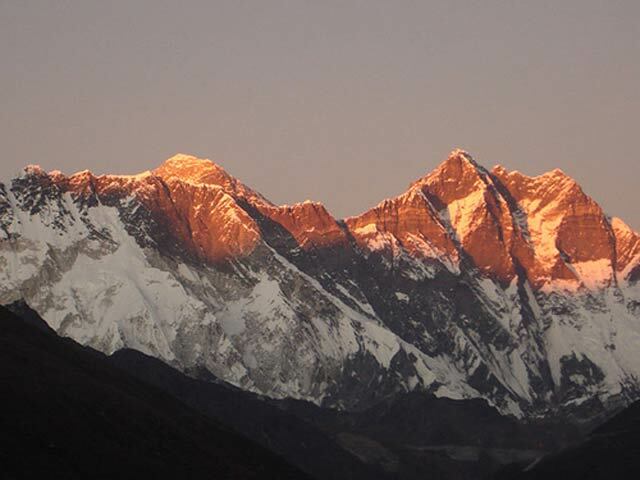 Start trekking Pheriche to Phortse village (3810m), which will take approximately 5-6 hours. 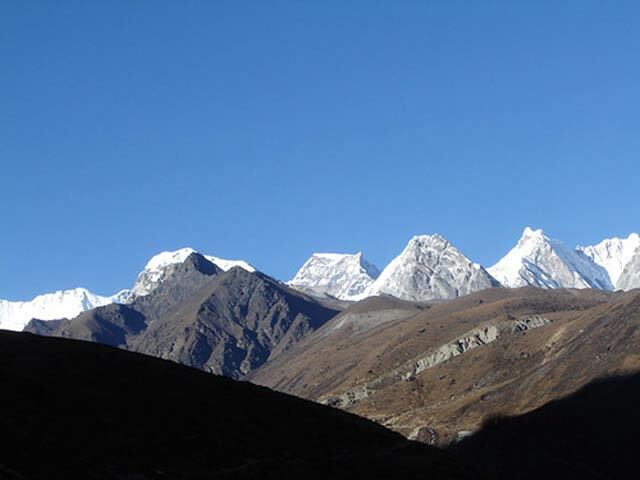 The trail passes witnessing the wild animals like the mountain goat, musk deer and many species of Himalayan birds. Descending from Pheriche, we reach to Upper Pangboche village (3930m). 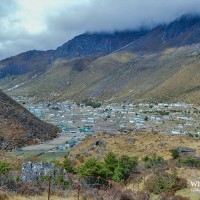 It is popularly known as the village situated at the highest altitude on earth. From Upper Pangboche the trail is divided into two branches. One goes to Tengboche if you descend but we take straight further to go to Phortse village instead descend, this trail avoids much of the trekkers and yak traffic. It will take 3 hours to reach to beautiful village Phortse from Pangboche. The monasteries were built during the 16th century in this village, the culture & tradition has remained unchanged since the ancient period. Overnight at lodge in Phortse village. After breakfast trek from Phortse village to Monjo village, which will take approximately 6 hours. From Phortse village the trail drops sharply down to the Dudh Kosi River for about 20 minutes, cross the bridge and reach to Phortse Thangka. We ascend steep up to Mongla Hill (3973m) for about one and half hour. 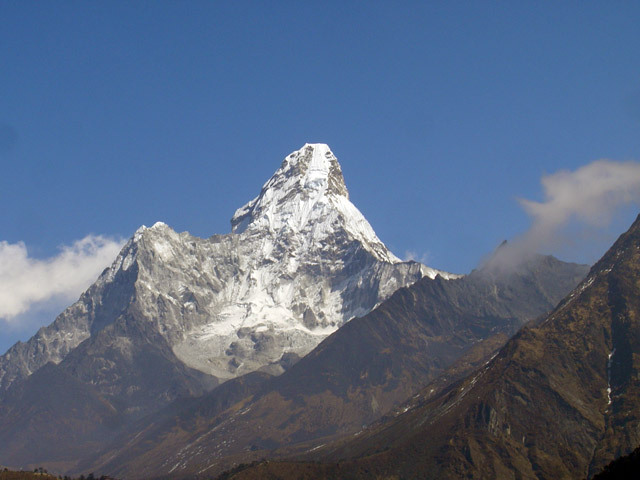 From Mongla Hill offers you the excellent views of Aama Dablam, Thamserku, Kusum Khangkaru, Kongde Ri and Tawache peak. 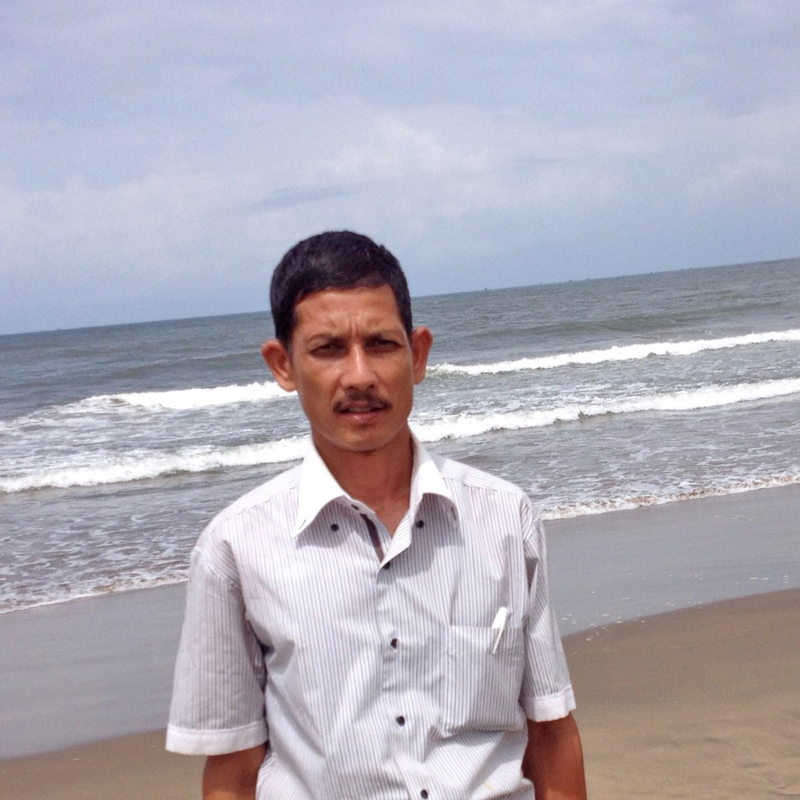 At Mongla Hill enjoy the leisurely lunch exploring the panoramic mountain views. From here descend all the way to famous village Khumjung. 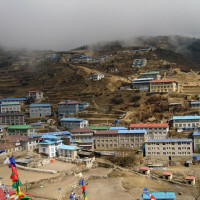 The Khumjung village is said to be the largest settlements of Khumbu region. There is well equipped High school established by Sr. Edmond Hilary in 1960. 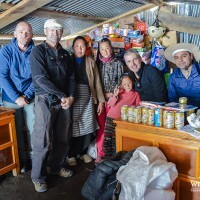 In the afternoon interact with the school students and teachers at the school and explore the Khumjung village to observe the Sherpa culture tradition and living style of local people in Khumbu region. Overnight at lodge in Khumjung village. Enjoy the leisurely breakfast and start the trek. In about one hour you reach to Namche Bazar. Spend some time at Namche Bazar for lunch before we descend. We descend the valley via Dudh Koshi river. From Namche, it is steep down, takes approximately 3 to 4 hours to reach to Bengkar. 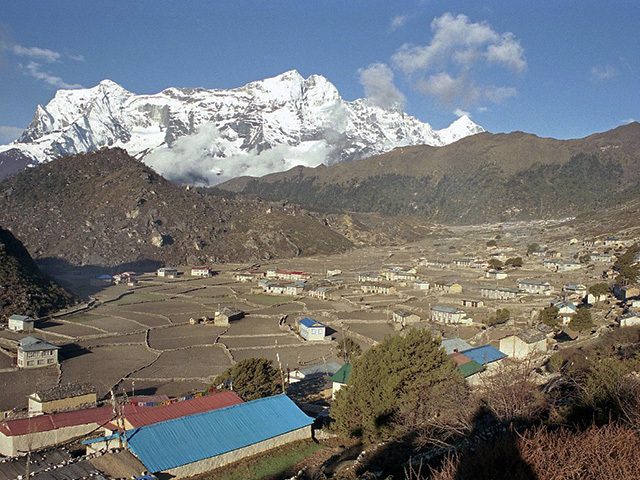 The beautiful Monjo village is located near the boundary of Sagarmatha National Park along the trail. Walking another one hour from Monjo you reach to Bangkar. In the evening you have the option to explore the surrounding village and environment. Day 15: End trek, Bangkar to Lukla (2840m)Today is our final day trekking of Everest Basecamp & Kalapatthar trek. In the morning start treks exploring various Sherpa hamlets through riverbank of Dudh Kosi River with several ups and down. 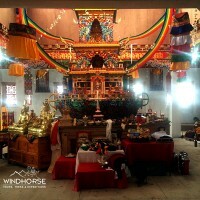 Along the way, we will also explore many monasteries that resemble unique Buddhist culture and tradition. Upon arrival at Lukla, we will have a relaxing time at the hotel and make preparation to fly back to Kathmandu for the next day. 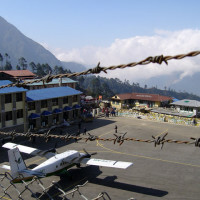 Lukla airport is also known as Tenzing-Hilary Airport, is a small airport located in the lower Khumbu region of Nepal. Overnight at mountain lodge in Lukla. Fly from Lukla to Kathmandu will take 35 minutes of astonishing scenic mountain flight lands you in the domestic terminal of the airport. Upon arrival in Kathmandu, transfer to the hotel and in the afternoon enjoys as leisure. Remember there is a high chance of cancelling the flight because of the weather condition. We do have some evidence trekkers had to stay for three days because of the weather condition. 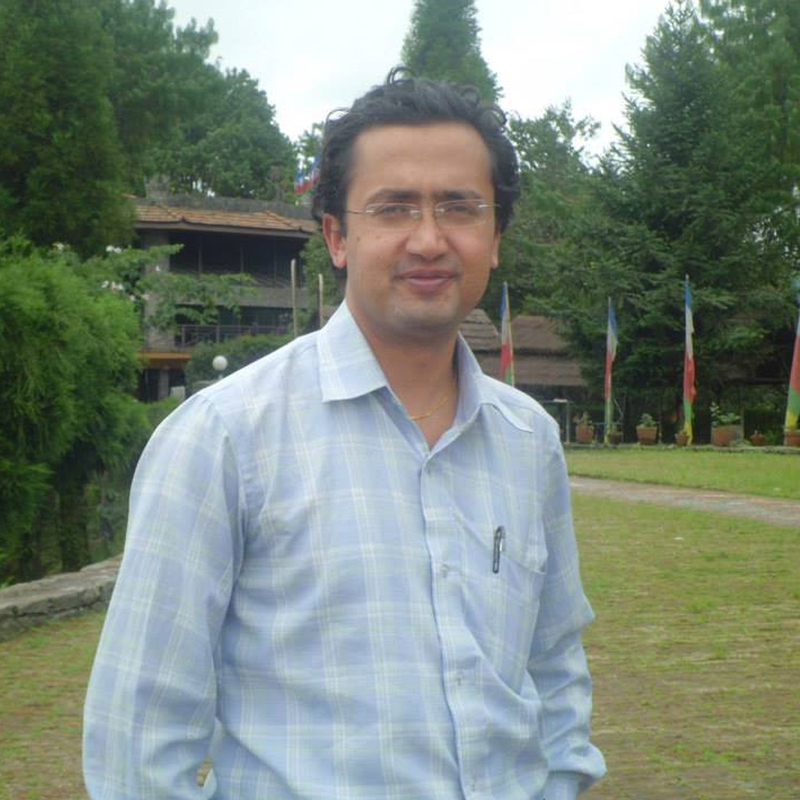 So be prepared and make 1 Leisure day in Kathmandu so that you can be safe. It’s also spare day in case of bad weather in Lukla. 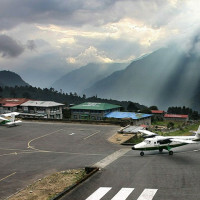 Remember, there are high chances of cancelling flights because of weather condition in Lukla. You have the option to stroll around the local tourist market in Kathmandu to observe the living style of local people in Kathmandu valley. You can see the traditional houses, arts and crafts, residents selling clothes, fruits and vegetable around Indrachook and Ashan located in the North Part of the Kathmandu Durbar Square. Overnight at hotel (3* to 4*) in Kathmandu. You will be transferred to the airport by a private vehicle according to your flight schedule. MealsBreakfast, Lunch & Dinner will be provided according the Traditional Nepalese Meal Daal, Bhaat, Tarkari (For Lunch & Dinner). Set breakfast best available at the lodge such as Breads with Jam/Honey/Butter, Eggs etc. Some lodges offer Continental breakfast, Lunch & Dinner with Tea & Coffee. 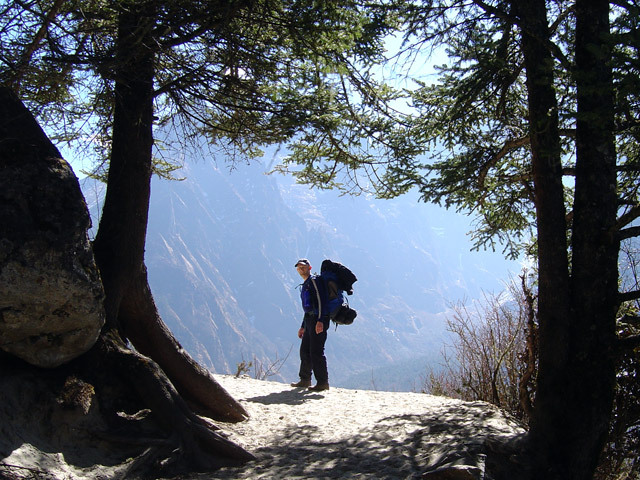 Trip Accommodation3-5 Stars Hotel in Kathmandu & Mountain Lodge/Guest Houses During the Trek. Rescue & travel insurance effects (we strongly advise buy a travel insurance policy). 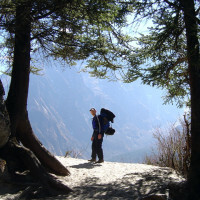 3-5 Stars Hotel in Kathmandu & Mountain Lodge/Guest Houses During the Trek.